What DOES one do with 76 pounds of apples? There’s my Butternut Squash and Apple Soup. Apple Pie. There’s Martha’s German Sausages with Apples and Saurkraut. Fried Apple Rings. Brie and Apple Tarts. You can chop up or slice apples and put them in pancake batter, on waffles, in crepes. You can eat them sliced with a good quality cheddar or other cheese. Throw some on a sandwich with some ham and goat cheese. Apples are ridiculously versatile. They go equally well with sweet and savory foods which is why you will find them in everything from pies to curries. 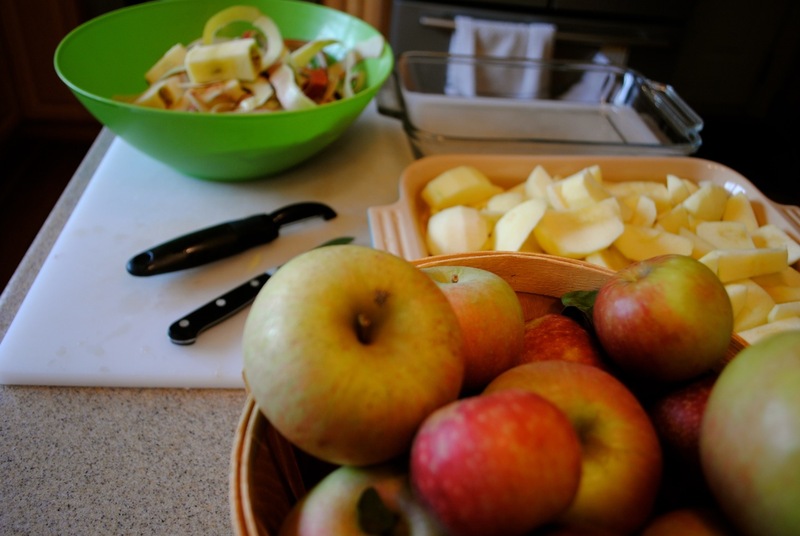 Around here, though, we use an awful lot to stock our larder withe the grandmother of all comfort foods: applesauce. I try to fill the freezer each fall and it usually lasts until around the end of January. This year we may get a few moths more, with all these apples! We like the deeper and smokier, more complex flavor that comes from roasting the apples before pureeing. 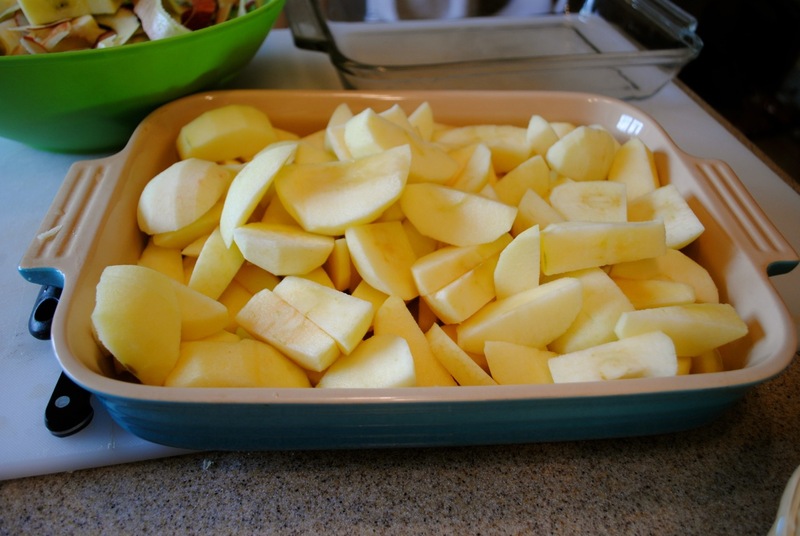 Chop up as many apples as will fit in your baking dish. I usually do one 9 x 13 pan at a time so I am not enslaved to the applesauce all day. You can leave the chunks fairly large. 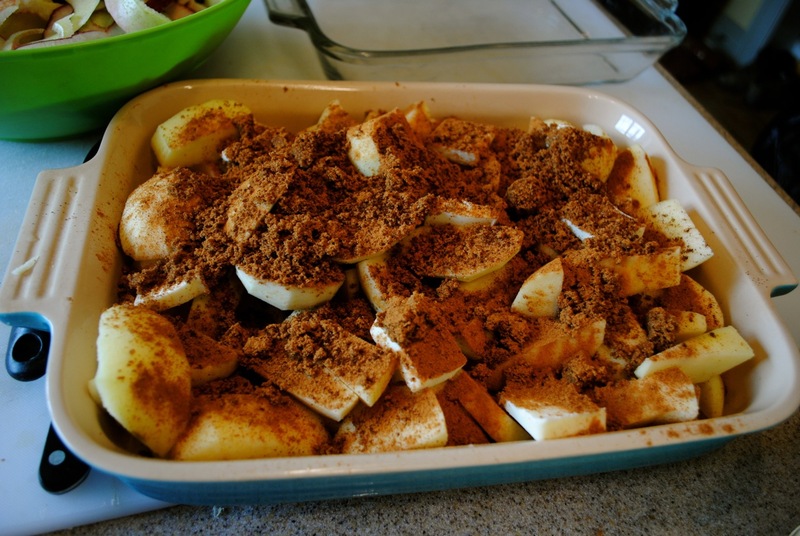 For this size pan I add about 1/3 packed cup dark brown sugar, about 3 to 4 TBS cinnamon, 1 tsp cloves and a dash of nutmeg plus half a stick of butter, sliced into TBS – sized chunks (so about 4 TBS). 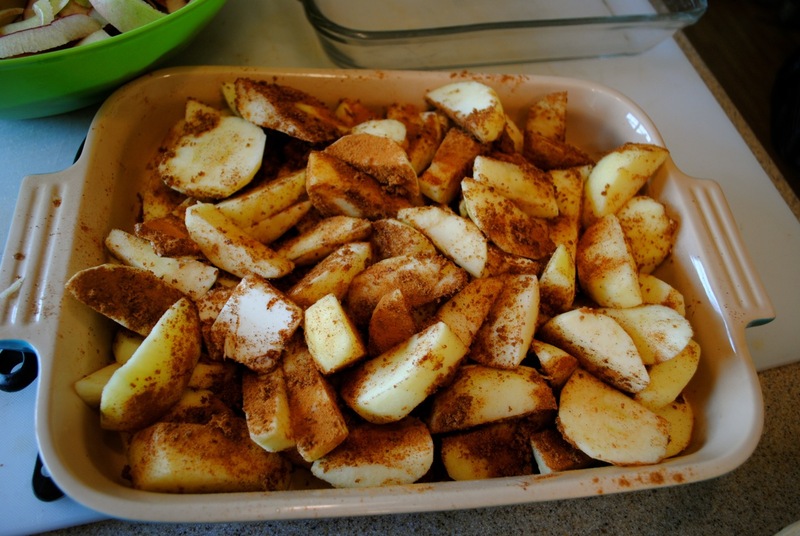 Mix everything just enough to incorporate the sugars and spices in with the apples. Then put in a 375 degree oven for about 45 minutes to an hour – checking every 15 minutes or so to turn over apples and prevent the top from burning. Once the apples look nice and soft and juicy and brown you can remove the pan from the oven and allow to cool enough to puree. 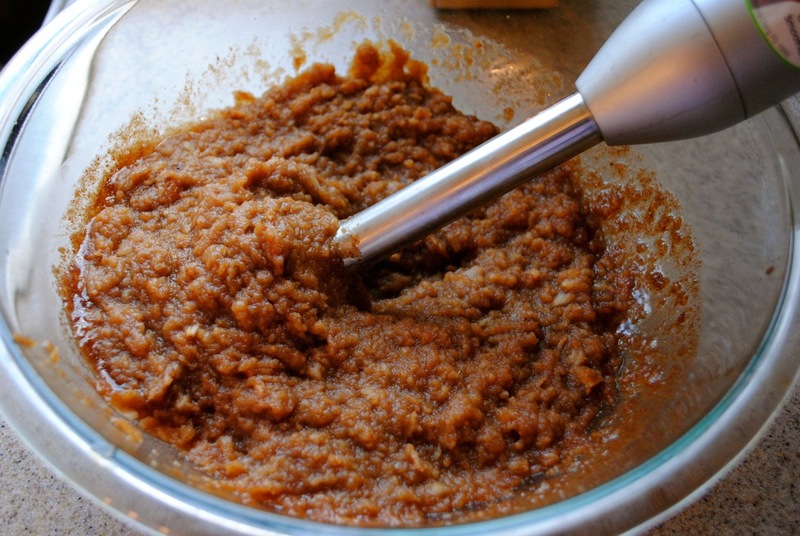 I use a stick blender to puree the apples – you can use a food processor or blender if you like. I store about a jar at a time in the fridge – it never lasts more than a few days with these apple-vores around here. The rest I freeze in large mason jars and defrost as needed. This sound delicious! I may need to snag another bag of local apples at the store since I’ll be away at Rhinebeck the final day of apple picking in my area.